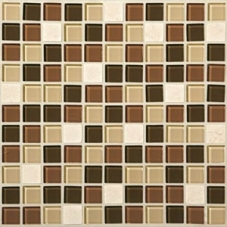 Daltile Glass Mosaic Tile - For Backsplashes, Bathroom Remodel, Glass Wall Tile Glass Tile and Glass Mosaics can mold and shape a strikingly fresh aesthetic by adding beautiful, bold colors to any surface. 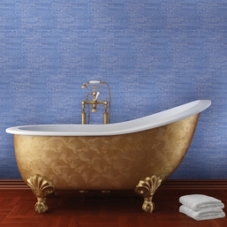 These special glass mosaic tile pieces come in all kinds of different shapes, sizes, and styles - and Daltile has gone to incredible lengths to further the special nature of their gorgeous glass tiles by constructing special borders, patterns and formats. 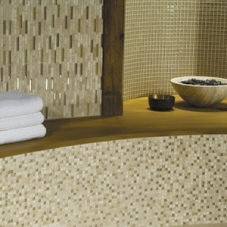 All of which are designed to enhance the natural, light-capturing beauty of glass mosaics. 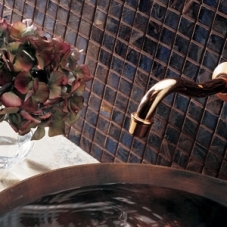 Making the collections of glass mosaics and glass tiles by Daltile even more groundbreaking - most can also be used with any of Daltile’s standard borders and patterns, as well as the design techniques that apply to mosaic murals. You can even build your own design. 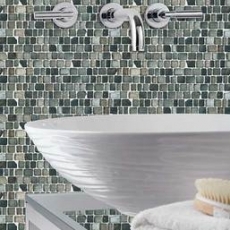 Either way, Daltile Glass Mosaics simply aim to capture and recreate the beauty in the world around us. 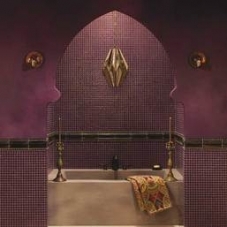 The goal is to offer all of you - interior designers, architects, builders and contractors, and do-it-yourself home project gurus - something as different and rare as your idea. 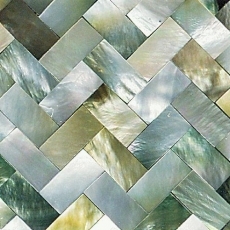 We have no doubt you’ll find whatever it is you are looking for within the pages of the Daltile Glass Mosaics and Glass Tile Collections. 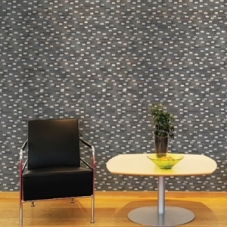 In terms of appearance, glass mosaics are unrivaled in beauty - courtesy of the ability to reflect and transfer vivid color and mirror light. 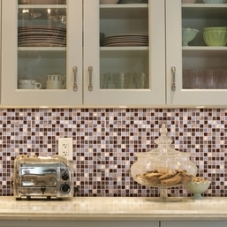 Glass tile is most often used for kitchen backsplashes, bathroom accents, showers, wall tiles and even glass tile flooring. 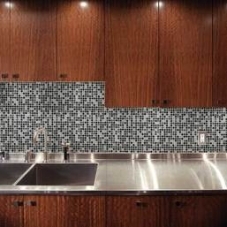 We have several ideas on our gorgeous glass boards on our Ecomoso Pinterest Page. 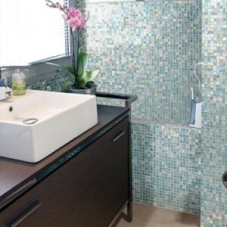 Daltile Glass Mosaic Tile - Backsplash, Glass Bathroom Tile, Glass Wall Tile ideas at Ecomoso When shopping for Glass Tile/Mosaics, there are many things to consider. One of those things, of course, is the name of the manufacturer - because like supermodels Gisele Bundchen and Heidi Klum, we like to knowing who we are dealing with when possible. 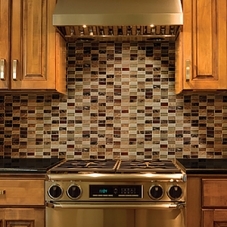 With Daltile Glass Mosaics, you’ll always find a certain sophistication in the colors, a remarkable and distinct quality glass tile, and unmistakable innovation coupled with unprecedented beauty in new, unique designs. 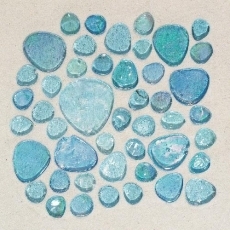 As most of you already know, glass mosaics are traditionally - or at least typically have been - considered small, glazed glass pieces with some kind of organized design or pattern. 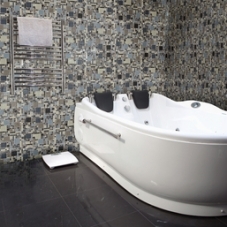 Modern glass mosaic tile - however - has emerged as one of the more popular and most durable tile flooring and wall tile options available in recent years - and the patterns don’t necessarily have to be organized anymore, just artistic. 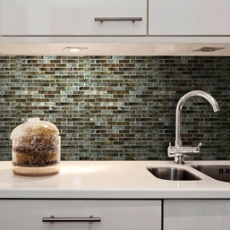 The growth in popularity when it comes to glass tile in general is largely due to the latest advances in manufacturing technology, as well as breakthroughs in cutting and installation methods. 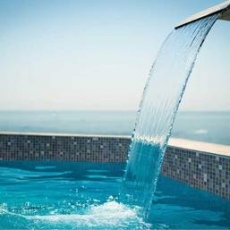 In addition to those factors, glass tiles are resistant to water (in most cases). 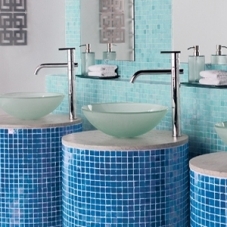 And in terms of appearance, glass mosaics are unrivaled in beauty - courtesy of the ability to reflect and transfer vivid color and mirror light. 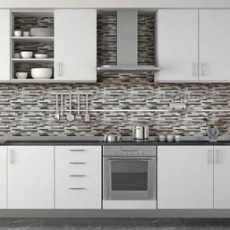 With Daltile Glass Tile, you can be sure you’re getting the highest quality glass tile for the most affordable glass tile prices and low-cost shipping options in most states. 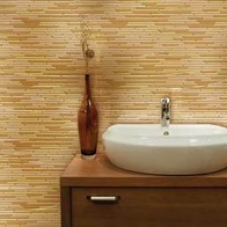 You can also be sure that even though you have selected a brand of tile that continues to strive for beauty in design in every way possible, you have also chosen a brand that truly thinks design goes hand-in-hand with respecting the environment. 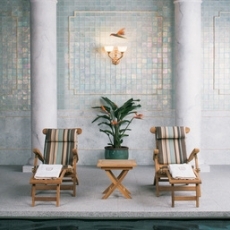 For that reason, Daltile trademarked the Greenworks Program and operates on the commitment to contributing beautiful designs produced and made in ways that reduce environmental impact wherever and whenever possible. 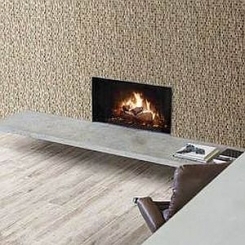 Without sacrificing artistic integrity, Greenworks in Daltile’s way of ensuring it is doing its part to produce eco-friendly flooring with recycled materials. 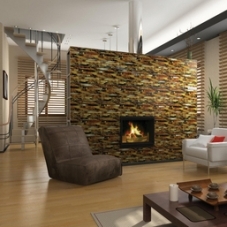 At Ecomoso, we offer low-cost shipping and in some cases free pick-up options are available. We service the entire West Coast, including Washington, California, Arizona, Colorado, Utah, New Mexico, Oregon, Nevada, and many others across the United States. 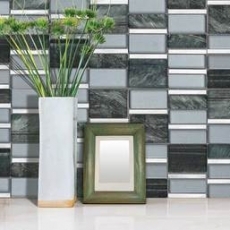 We would love the opportunity to work with you and we cordially invite you to browse the stunning gallery of Daltile Glass Tile below.